Главная » 2008 » Июнь » 8 » 21 декабря 2012 года будет "межзвездный парад планет". December 21, 2012 will be "interstellar parade of planets". 21 декабря 2012 года будет "межзвездный парад планет". December 21, 2012 will be "interstellar parade of planets". 1 ЧАСТЬ. Внешняя причина Конца Света. Жрецы майя говорили, что с момента сотворения рода людского минуло уже четыре цикла, или "Солнца”. По легендам Майя, каждый цикл завершается практически полным уничтожением цивилизации, жившей в этом цикле. Сменились четыре человеческие расы, которые погибли во время великих катаклизмов. И лишь немногие люди остались в живых, поведав о том, что произошло. "Первое Солнце” длилось 4008 лет и было разрушено землетрясениями. "Второе Солнце” длилось 4010 лет и было уничтожено ураганами. "Третье Солнце” длилось 4081 год и пало под огненным дождем, пролившимся из кратеров огромных вулканов. "Четвертое Солнце” (5026 лет) уничтожил потоп. Сейчас мы живем в последний катун Пятой Эпохи Сотворения, или "Пятого Солнца”. Оно известно еще и как "Солнце Движения”. Майя полагали, что по завершении нынешнего, 5126-летнего цикла произойдет некое движение Земли, что повлечёт за собой уничтожение нашей цивилизации. 2 ЧАСТЬ. Внутренние причины изменения Мирового порядка. В настоящее время ни официальная наука, ни любители-астрономы не зафиксировали приближение планеты Х или Нибиру. Так же несостоятельно связывать катаклизмы с календарём майя. Очевидно экологический кризис не достигнет кульминации в 2012 году. Корональные выбросы Солнца не положат конец человеческой цивилизации, так как этого не было за всю историю человечества. - В США и России давно идёт разработка оружия для создания стихийных бедствий, как цунами и землятресения. Международными договарами подобные исследования запрещены. Однако, при том количестве ядерного арсенала, которое есть, остается огромное искушение его применения, хотя бы завуалированного. - 2012-2013 год планируется создание рукотворных катаклизмов (цунами и землетрясения) для коренного изменения международного статуса стран и человека, что особенно выгодно мамоне США и России. - Для обмана международной общественности создаётся психоз вокруг 2012 год. Подробно - несколько документов в области тектонического оружия. отсутствие четких мировых перспектив развития общества, человека и решения глобальных проблем. 2 октября 2008 года состоялся релиз продолжения фильма Дух времени: Приложение. Часть первая: Самая великая история. Основная статья: Христианство. Часть вторая: Глобальный сценарий. Основная статья: Критика официальной версии событий 11 сентября 2001 года. В мире появилось мощное общественное движение, пример, thezeitgeistmovement.com . Мы предлагаем не присоединяться к противостоянию, но заняться поиском перспективных путей развития человека, общества. 3 Часть. Новый мировой порядок. В свете последних событий (глобальный экономический кризис, экологический кредитный кризис) на наш взгляд новый мировой порядок связан с научным раскрытием внутреннего потенциала Человека и с введением обеспеченной денежной единицы в Глобальной Сети, эквивалента творческого труда. Такой подход естественно решает глобальные проблемы, открывает экспансию человека в Космос, изменяет фундамент каждого государства и даёт возможность реализации каждой личности. Обновлено 27 ноября 2009 г. 1 PART. External cause of the Last Day. The greatest invention of the Mayan calendar was.The basis of the Mayan calendar was used as the mythical starting date - 13 August 3113 BC.Writes about this newsland.ru.From her something simply by reference number in the past days and was carried chronology.Maya calendar, despite its antiquity, amazingly accurate. According to modern calculations, the length of the solar year is 365.2422 days.Maya calculated a value of 365.2420 days.The difference - just two decimal places.To compile such a precise calendar, according to scientists, would be required to observe and record the movement of planets during the approximately ten thousand years, reports The Portal Seo-labs. Mayan priests say that since the creation of the human race has passed the four-cycle, or "Sun." According to Mayan legend, each cycle ends with the almost complete destruction of civilization, living in this cycle. Replacement of the four races of man who died during the great cataclysms. And only a few people still alive, telling about what happened. "First Sun" lasted for 4008 years and was destroyed by earthquakes. "Second Sun" lasted for 4010 years and was destroyed by hurricanes. "Third Sun" lasted for the year 4081 and fell under a rain of fire, spilled from the huge volcanic crater. "Fourth Sun" (5026 years) destroyed the flood. We now live in the last Katun fifth era of the Creation, or "Fifth Sun." It is known also as "Sun Movement".Maya believed that at the end of the current, 5126-year cycle will occur a movement of the Earth, which would entail the destruction of our civilization. Most interestingly, 21 December 2012 will be a parade of planets.Saturn, Jupiter, Mars and Earth line up in one line. Actually these parades planets were in the past.What is the difference between a parade of planets on Dec. 21, 2012 from the previous ones?The fact is that in this day line up not only the planets, but planets of other star systems, forming a line from the center of the galaxy.А это уже совсем другое дело. And it is quite another matter.The process can be compared with the clock when the clock faces to 12 o'clock.This combination will mean a transition of the universe from one system to another. Based on different beliefs and scientific assumptions, to 2020 on Earth at least 12 predicts apocalypse.An impressive list of promises that cataclysms will begin in 2008, and, if lucky, the Earth will extend to 2020-th. 2008-th - will fall to Earth asteroid with a diameter more than 800 m.
2009-th - based racshifrovok centuriae Nostradamus by Peter Laurie, come Armageddon. 2010-d - run out of oil, and the world will swallow a war for resources. Another promise that the Earth turns away from the Sun.But it would be "temporary" end of the world. 2011-th - the end of the Mayan calendar cycle.Very common date on which, according to different beliefs, held end of the world.Perhaps an asteroid collision will happen in 2005 YU55. 2012-y - too long-awaited end of the world on the Mayan calendar.Indigo Children Board to prepare, from 0,5% of the population have a chance to survive. 2013th - Ragnarok, it is Doomsday.Day start and end!Hyperspace drive in the fourth dimension.For mortals it is death, but for the gods - the birth. 2014-th - astrophysicists say that our solar system gets a cloud of space dust that sweeps away everything in its path.Dull end of the world. 2015-th - the end of 9576-year cycle, which leads to the death of civilization. 2016-nd - James Hansen, a researcher at the state of the climate on Earth, argues that this year will melt glaciers and most of the land would be flooded. 2017-th - end of the world on the theory of hierarchical disasters. 2018-th - nuclear war on the same Nostradamus. 2019-th - banal collision with the asteroid 2002 NT7. 2020-th - Isaac Newton, based on the predictions of St. John the Divine, has calculated that the end of the world will be in this year. 2 parts.Internal causes of change in world order. At present, no official science, nor an amateur astronomers have not detected the approach of Planet X or Nibiru. It is also untenable to link disasters to the Mayan Calendar. Clearly the environmental crisis reaches a climax in 2012. Coronal mass ejections of the Sun will not put an end to human civilization, because this was not the history of mankind. - In the United States and Russia has long been a development of weapons to create natural disasters such as tsunamis and earthquakes.International contracting such research is prohibited. However, with the number of nuclear arsenal, which is, remains an enormous temptation to use, even if disguised. - 2012-2013 year plan to create man-made disasters (tsunamis and earthquakes) for a radical change in international status of countries and people, which is especially beneficial Mammon U.S. and Russia. - To deceive the international public hysteria created around 2012. 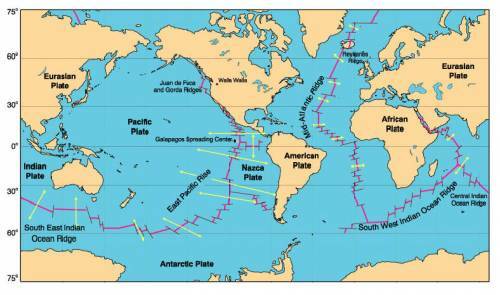 Theoretically, only 10 atomic charges along transform faults in the ocean or in the hot spot to create an abrupt shift of the plates for the birth of the 2004 tsunami, which claimed 150 thousand people in Indonesia. Major geotectonic environment: 1. Mid-ocean ridges 2. Rifts within-3.Island Arc 4.Active continental margins 5.Back-arc basins 6.Oceanic Islands 7.Areas within-activation. 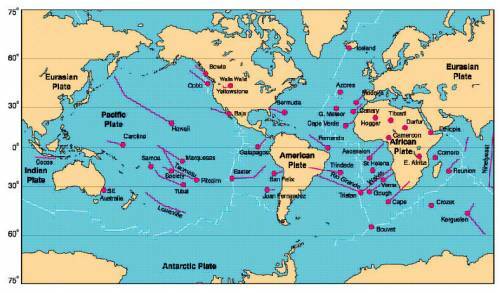 The diagram shows the 41 (by different researchers on the globe, there are between 16 to 122 hot spots). part of the Far East and Asian countries: Japan, coastal China, Vladivostok, Kamchatka, ..
Emphasize this assumption.In any case, to find evidence of such plans, which are seriously considered (considered) as a military perspective, it is very difficult.This level of intelligence and counter.However, in my opinion to stop these plans may partly disclosure and disclosure of such plans. Detail - several documents in the field of tectonic weapons. lack of clear prospects for the development of world society, man. We propose not to join the opposition, but to do the search of promising ways of development rights, society and global solutions. In light of recent events (the global economic crisis, the ecological credit crunch) in our opinion the new world order is related to the disclosure of internal research capacity of man and the introduction of the money unit in the Global Network, the equivalent of a creative effort. This approach naturally solvers global problems, opens its expansion into Space, changes the foundation of every state and allows therealization of each individual. Dezember 21, 2012 wird "interstellaren Parade der Planeten"1 Teil. Äußere Ursachen von den Jüngsten Tag. 2012. Prophecy. Planet Nibiru. 2. Teil. Interne Ursachen des Wandels in der Welt um. Application tektonische Waffen und Krieg Welt Regierung gegen die Menschlichkeit. 3. Teil. Neue Weltordnung. Human Resources und sicherte Geld für die Global Network. Ein solcher Ansatz löst natürlich globale Probleme, öffnet seine Expansion in den Raum, ändert sich die Grundlage eines jeden Staates und ermöglicht die Realisierung eines jeden Menschen. Я в это просто не верю!!!!! ну сами рассудите каждый год КОНЕЦ СВЕТА (в кавычках)ТУПОСТЬ!!!!!!!!!! Goverment Denies the Knowledges ! vranyo!!! daje angeli na nebesah neznayut kogda nastupit etot den!!!! tolko Bog znaet eto!!! a kto takie mayya???? kakoe-to plemya. Ответ: После кризиса 2008 началась стогнация, которая продлится 1-2 года. 2008 прошёл - живы...2009 - наступил, уже четвёртый месяц года идёт, вродебы пока Армагеддона не было...поживём увидим...кстати, про то, что нефть закончится, и мир поглотит война за ресурсы...я читала где-то, что наоборот в России откроют новые залежи и МЫ БУДЕМ ПЕРВЫЕ!! !...а там кто его знает, все эти предсказания, уфф - можно верить, можно не верить...как говорится "бабушка гадала, да надвое сказала: то ли дождик, то ли снег; то ли будет, то ли нет"
Читайте внимательнее: 12 апокалипсисов. Внушительный список обещает, что катаклизмы начнутся в 2008 году, и, если повезет, Земля протянет до 2020-го. Другими словами - это утопические прогнозы, которые позволяют создавать новые математические аппараты для предсказания событий. Да что вы все со свои богом лепитесь везде верите так верьте некуй других зомбировать и расказывать что вот мол есть дух святой ВСЁ знает ЭТО ОН САМ ТЕБЕ СКАЗАЛ ИЛИ СЛЫШАЛА ОТ КОГО ИЛИ В БИБЛИИ ПРОЧИТАЛА КОТОРУЮ ЛЮДИ НАПИСАЛИ? А мож кто то не верит в него а верит в чистую случайность всего!!! Цикл по календарю майя составляет 5125 лет и 4 с половиной месяца (плюс минус один день корреляции). Эра Пятого Солнца, начался 11-13 августа 3114 до н. э..
Текущий цикл закончится в декабре 2012 года. 20 декабря 2012 года (кор. 584283) или 22 декабря 2012 года (кор. 584285). А на следующий день, 21 декабря 2012 года (кор. 584283) или 23 декабря 2012 года (кор. 584285), начнётся новая Эра Шестого Солнца. Эта дата вызывает много современных паникёрских пророчеств и эзотерических спекуляций. Особенно эта теория популярна в течении Новая Эра. Мол будет ознаменовано огромным по своим масштабам наводнением и Концом света, за которыми должно последовать очередное рождение Вселенной. В связи с этим вопрос из области ваших знаний: что вам известно о глобальной цикличности на Земле с периодом 5125 лет? Из астрономии этот цикл почти точно равен одной пятой части цикла прецессии Земли (составляет 25 760 лет). Современной науке так же известно, что цикл прецессии вносит существенный вклад в смену сезонов или климатический цикл, в частности, глобальное потепление или похолодание, которые происходят примерно так же, как смена современных месяцев. Главное, никаких катастрофических изменений, вроде Апокалипсиса не было и не будет. Не знаю верит в это, или не верить. Мне кажеться что это все фантазия. Возможно, даже если чтото и будет это не так уж и плохо. Да, с нашей точки зрения НИЧЕГО от этих угнетающих прогнозов нас не ждет. Но предсказываются так же и радикальные изменения человеческих способностей. Это научнй фокт что организмом изспользуются 8 генов, остальные считаются генетическим мусором. Может все к лучшему. НАЧАЛО НОВОЙ ЭРЫ и конец нашей. Все равно когда нибудь умрем. Майя не когда не ошибались!!! о боже мы все умрём !!!!!!!!!!!!!
)) интересно, а какие такие планеты других звёздных систем выстроятся в ряд?? откуда такая тупая информация? Хех а Барон Мюнхгаузен видемо потомок майя. Он таки каким то оброзом догодался что год все таки не только с лишними 6 часами.) теория не доработана но гениальна! Всегда считал, что на Земле были развитые цивилизации ДО нашей. Может, Говарда много перечитал в детстве. Удобно ведь - обьясняет пирамиды, хрустальные черепа и сверхточный календарь. Про эту дату к примеру в народе больше говарят,нежели про другие,это уже наводит на мысли...,хотя даже в новостях показывают,поживём увидем...если уж и будет конец света,то это из-за ядерной войны,но это 0.01% вероятности. блин,а знаете что самое беспонтовое,ОЖИДАНИЕ!!! вы знаете?!!!! совсем недавно мой менеджер по рекламе сказала мне...,,светлана уже все об этом говорят,,и начала мне рассказывать про 2112 год,про 4-ое измерение и тд...я сначала засмеялась,а потом замерла.я работаю с клиентами и вспомнила что я об этом читала пять лет назад в одной книге,,тайна цветка жизни,,эту книгу принесла мне одна дама,котороя занимается медитацией,лечением людей через астральный мир.все что сказала мне мой менеджер я уже об этом знала. в этой книге пишет человек,который тоже выходил астральный мир и знает то что многие неправильно могут воспринять.я верю Мельхсидеку писателю этой книги, что, что то будет...в книге он предупреждает быть готовыми к четвертому измерению,каторое как он писал произайдет в 2112 году . Я уверен что Майя были гнусными наркоманами!Примерно как у индейцев "Трубка Мира"
Еще добавлю природа и космос не будут виновниками Апокалипсиса,а сам человек-это существо с блютусом в ухе и вайфаем в одном месте))))ГЫЫЫЫЫ!! !